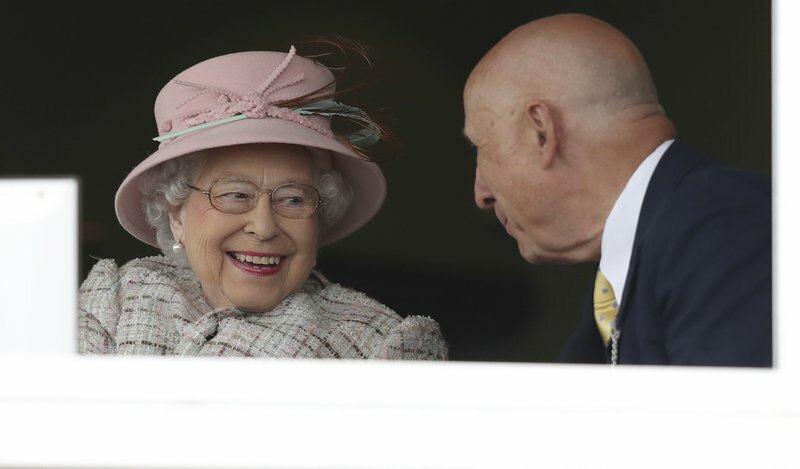 Britain marked Queen Elizabeth II's 91st birthday on Friday with gun salutes, as the monarch herself enjoyed a family day and a trip to the races. 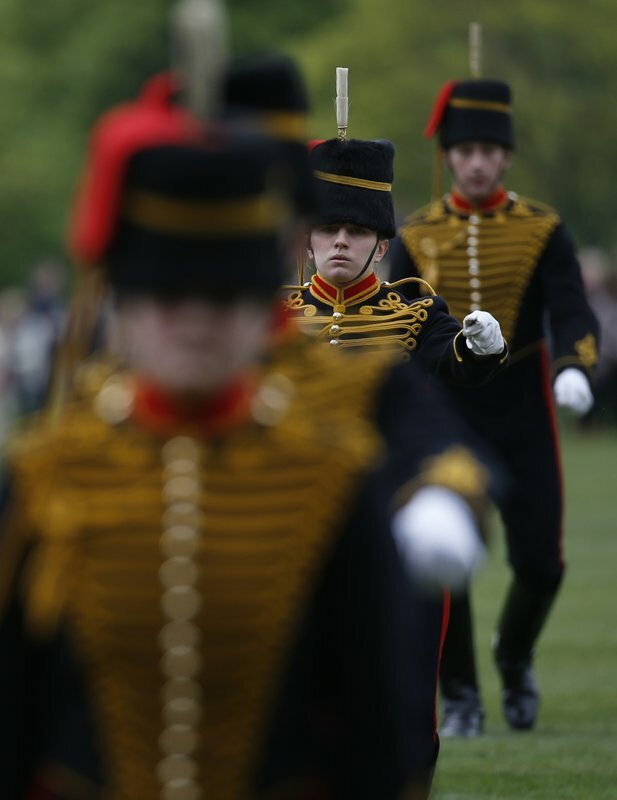 Outside the palace, a band of guardsmen in scarlet tunics and bearskin hats played "Happy Birthday" during the Changing of the Guard ceremony. Britain's Queen Elizabeth II speaks with an unidentified man at an event at Newbury Racecourse in Newbury England Friday April 21, 2017. 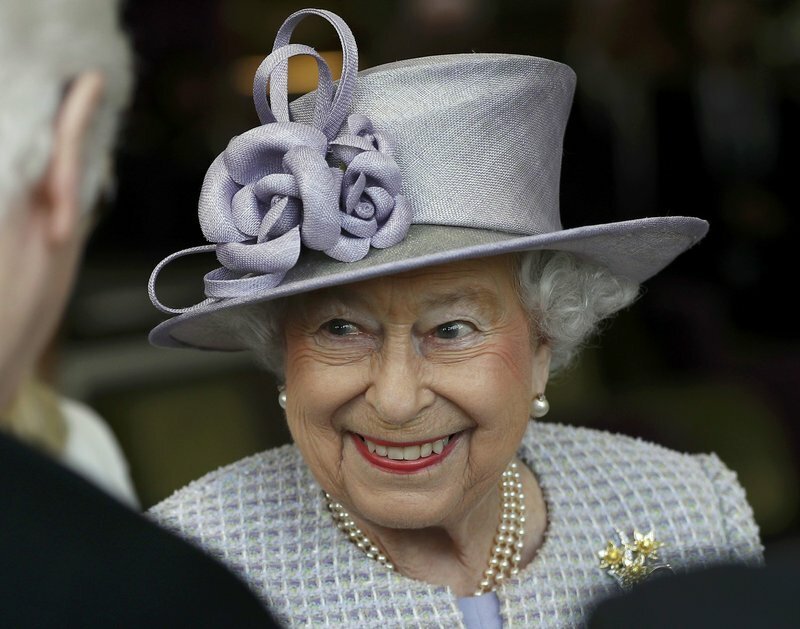 The Queen celebrated her 91st birthday on Friday. 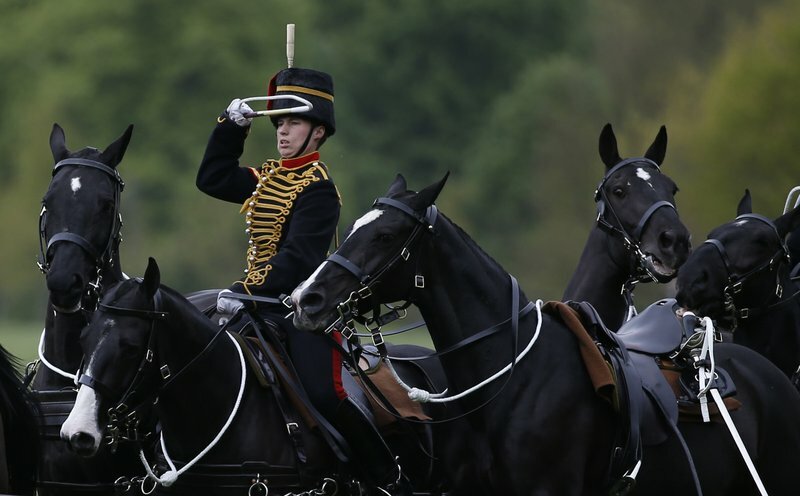 Members of the King's Troop Royal Horse Artillery take part in a ceremonial 41 gun salute in Hyde Park to mark Britain's Queen Elizabeth II 's 91st birthday, in London, Friday, April 21, 2017. 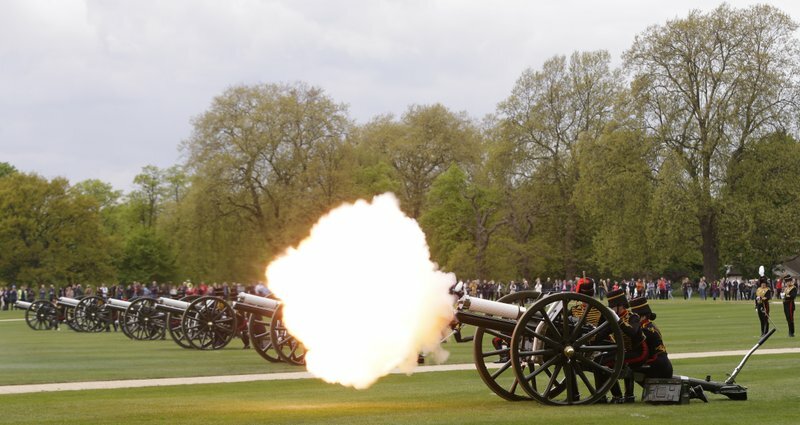 Members of the King's Troop Royal Horse Artillery fire First World War era 13-pounder field guns as part of a 41 gun salute in Hyde Park to mark Britain's Queen Elizabeth II 's 91st birthday, in London, Friday, April 21, 2017. Members of the King's Troop Royal Horse Artillery First World war era fire 13-pounder field guns as part of a 41 gun salute in Hyde Park to mark Britain's Queen Elizabeth II 's 91st birthday, in London, Friday, April 21, 2017. This is a Tuesday, April 11, 2017 file photo of Britain's Queen Elizabeth as she meets residents during a visit to Priory View, an independent living scheme for older residents, in Dunstable, England, Tuesday, April 11, 2017. 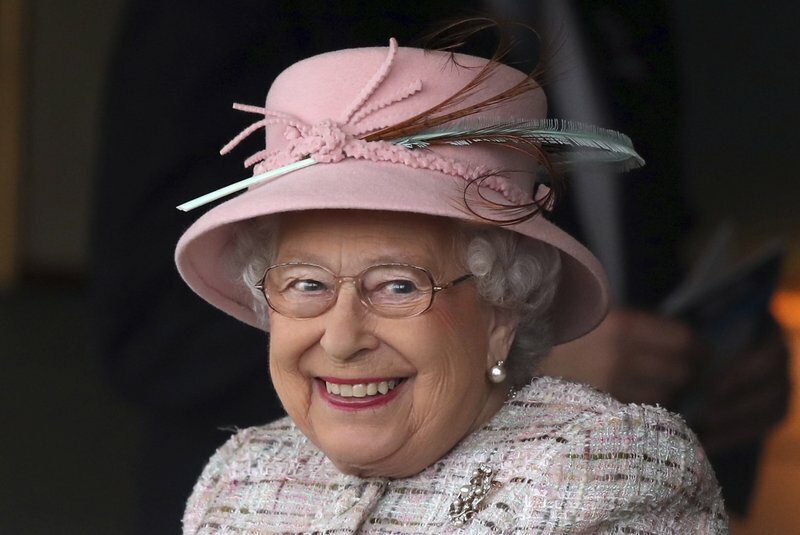 Britain's Queen Elizabeth celebrates her 91st birthday on Friday, April 21, 2017.